Weather during Hike: Mostly clear, 70-80 degrees. Took the Whetstone Mountain Trail (#546) to the summit of Whetstone Mountain. I tried to do this hike earlier this year, but had to turn back due to snow. It was a pretty long road back to the trailhead, and it gets pretty narrow in spots. The trailhead is about 4000′ in elevation.The trail gains about 1000′ in about 3 miles, so it is a pretty good ascent. The trail moves through just about every kind of scenery you can imagine, from dense, old growth, to clearcuts and everything in between. There were some really nice pockets of mature trees, with pretty dense forest.The summit is absolutely amazing (about 5000′). There used to be a lookout on it, but it is now gone, and the trees haven’t grown up too much. 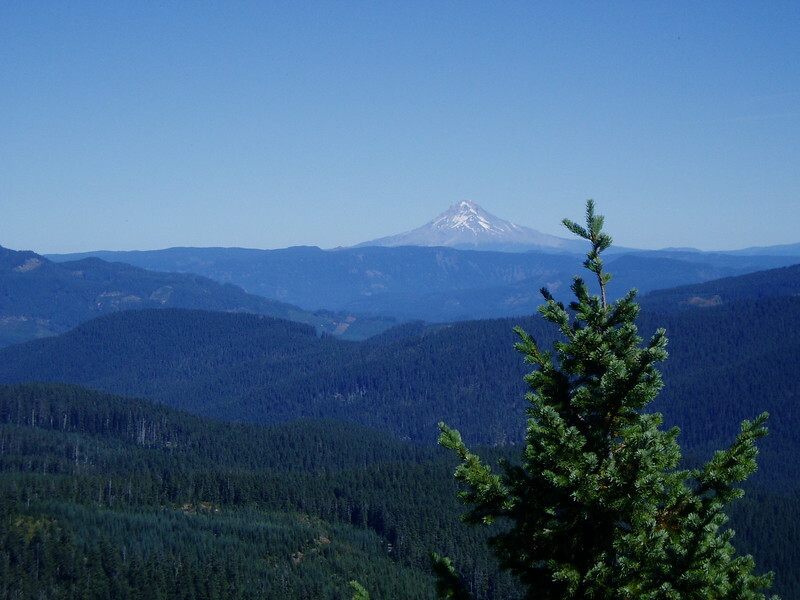 On one side (the north side), it is pretty sheer cliffs with an incredible view of Mt Hood. To the SouthEast, there is Mt Jefferson. 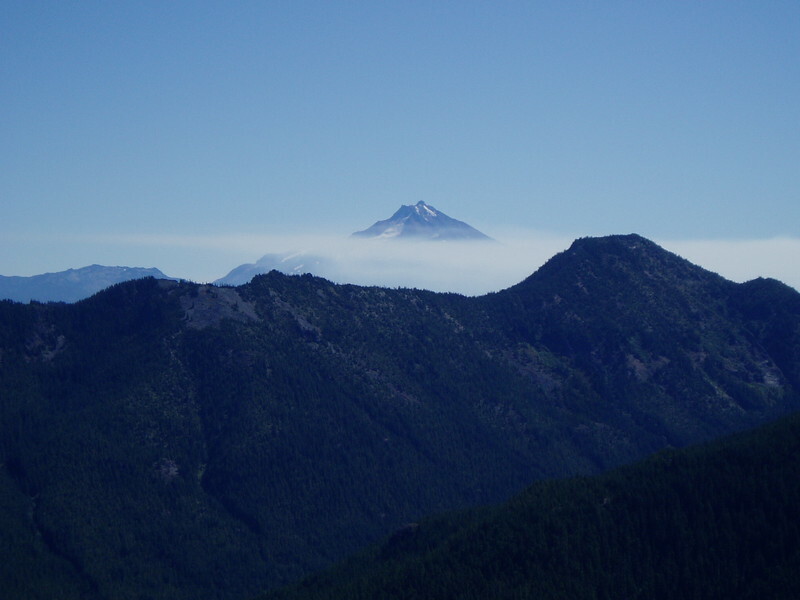 On the day I was there it was very clear, except for a layer of clouds over Mt Jefferson. You can supposedly see your car where the trailhead is, but I wasn’t sure if I could see it. One of these days I need to get some binoculars……The view from the top of the mountain was incredible. I ate lunch there, took in the view, and then headed back down to my truck. What an awesome day!